In the past, velvet furniture had a reputation for being the height of luxury and opulence. Now, velvet fabric is much more versatile, comfortable, and easy to clean. We’re even seeing more color options available. Because of this shift, velvet furniture has taken over as one of 2019’s hottest interior design trends. Here’s what you need to know to take advantage of the velvet furniture craze. Not quite ready to commit to a velvet couch? Start with velvet accessories. 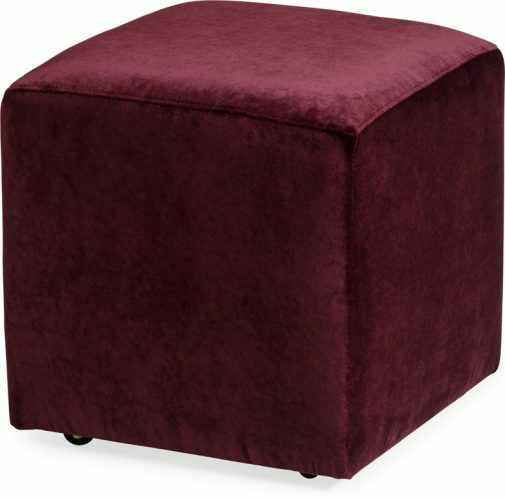 We recommend testing out the look with velvet throw pillows or a velvet ottoman cube. Whichever way you decide to go, you’ll add a level of style and sophistication to your modern contemporary living room. You don’t need a dramatic piece of furniture to make a statement. 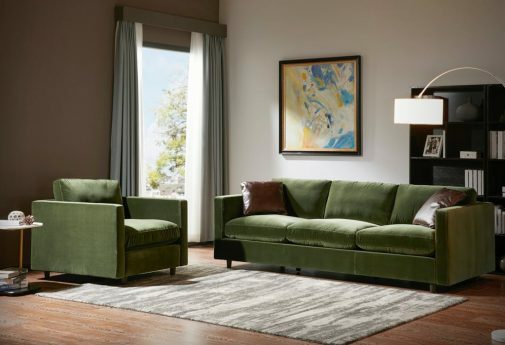 By utilizing velvet accent furniture, you can up the style of your living room without committing to a large velvet couch. Looking for a bold conversation piece for your modern living room? A velvet sofa will do the trick! Not only does velvet look great on a wide range of silhouettes, but you can even consider your own personal style and go with bold colors or something a little more understated. 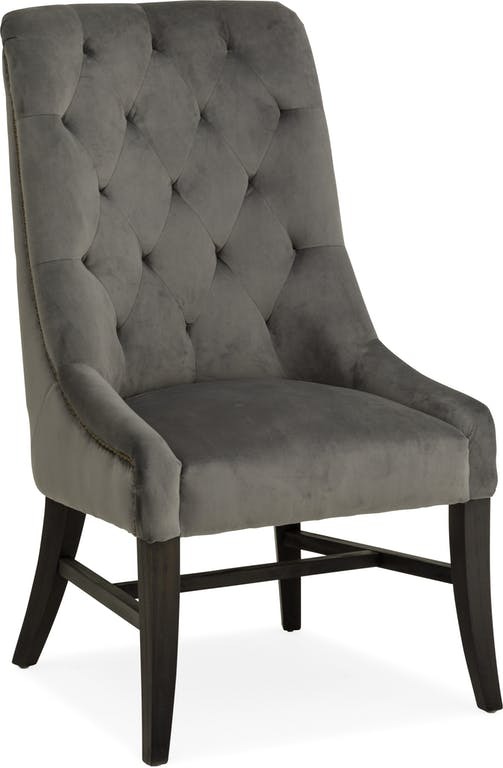 When you think of velvet, you might not immediately picture the dinner table, but velvet dining chairs can be a great addition to the modern dining room. Because velvet is much easier to clean than it used to be, you no longer need to worry about eating on these velvet seats. 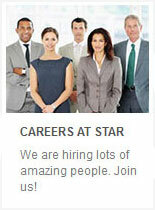 Want to be on top of the latest design trends? Try decorating your master bedroom with a velvet headboard. 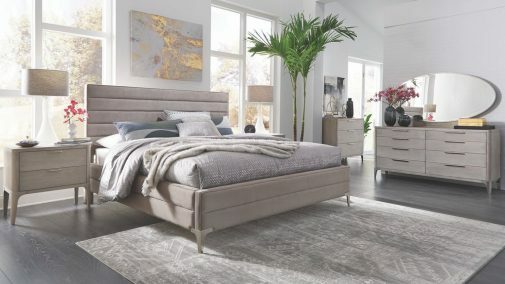 Not only does it provide a soft and inviting place to sleep, but it also serves as a bold statement piece for the modern bedroom. Worried about furnishing and decorating your home? Check out our interior design blog for information about the hottest interior design trends, including mixing metals, geometric furniture, and more. You can also visit one of our Star Furniture stores, where we offer free interior design services to help you find the perfect piece for your space. 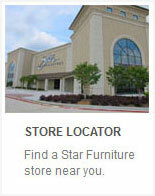 Start furniture shopping today!